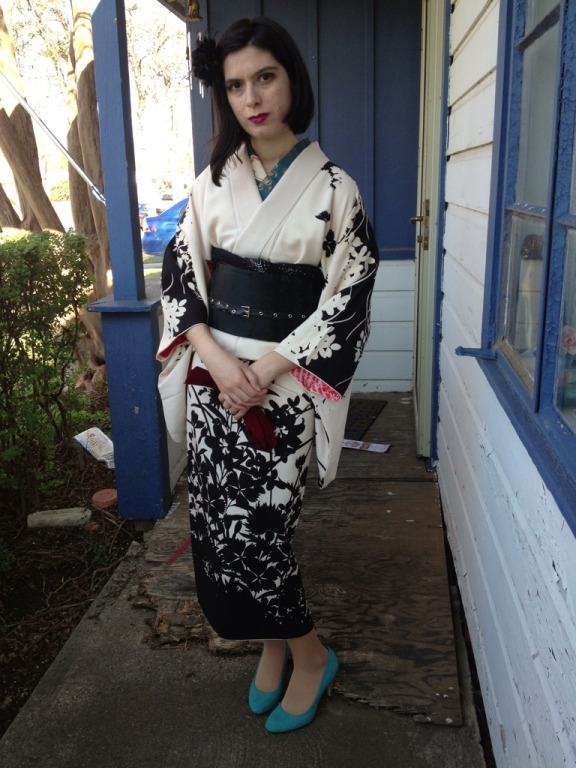 This look is meant to be a Gothic Kimono Hime sort of coordination. I made the obijime myself and the obi age is a full-black shibori with dots of gold and silver. 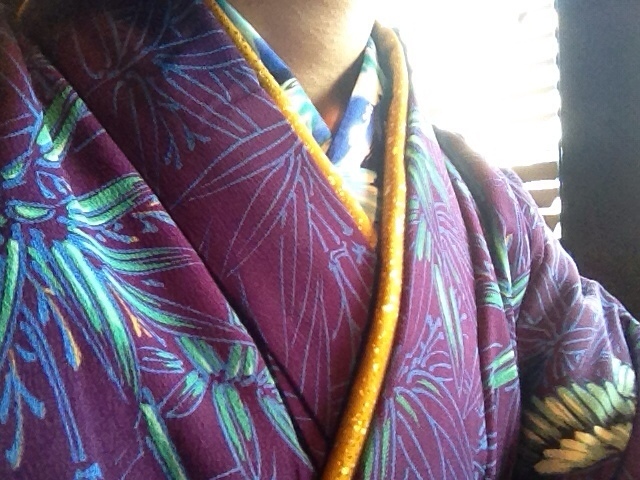 It's so rare to see black komono that are not mourning. Speaking of mourning, the fukuro obi is technically for mourning, ordinarily I would not wear it but I was going for a gothic impression so I thought it worked best.